Sinatra century eert de 100ste verjaardag van frank Sintra. Gebottled vanuit slechts 100 barrels met de hand-geselecteerd voor hun karakter. Het is een toast voor een icoon. 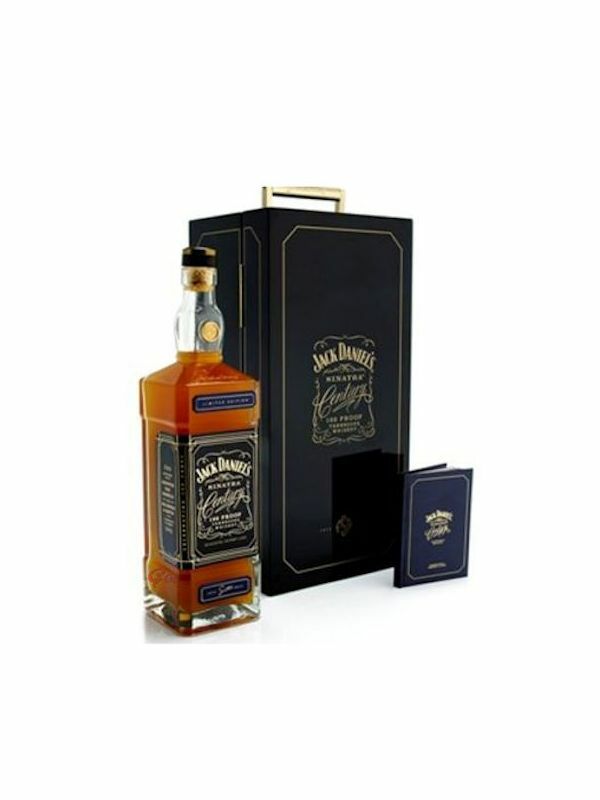 Hierbij jack Daniel’s Sinatra Century, een van de meest gelimiteerde Tennessee whiskies die wij ooit hebben gereleased. Gerijpt in geselecteerde vaten, hierin wordt onze 100-proof whisky zacht gerijpt. Door de groeven in het hout verkrijgt de whisky nog meer smaak. Verpakt in een unieke collector’s box, iedere fles Sinatra Century is vergezeld door een pas uitgebrachte soundtrack die net zo bijzonder is als de whisky zelf. Iedere fles is genummerd en ligt zacht in een prachtig blauw verpakking. A never-before-released concert Sinatra at the sands The soundtrack Exclusively available with the purchase of jack Daniel’s Sinatra century is a never-before-released 1966 soundtrack of Sinatra at the sands. At nearly an hour long, this timeless and exhilarating recording includes fly me to the moon, it was a very good year, my kind of town along with many more Sinatra classics. The soundtrack also features some special guests who appeared on stage with frank making the Las Vegas night even more exciting and memorable. “ it’s the nectar of the gods, baby.” Process Sinatra barrels have deep grooves on the inside of their staves, exposing the whiskey to extra layers of oak. Proof Sinatra century is bottled at a robust 100 proof. Colour This distinguished whiskey features hues of deep orange amber. Aroma Sinatra century is oaky with a pleasant smokiness and sweetened with a subtle honey and caramelized tropical fruit character. Taste As layered as frank’s voice this whiskey offers the palate spiced oak with complex notes of soft smoke character, coconut and citrus fruit. Finish Ripe fruit with a pleasant smokiness and lingering notes of charred barrel spice round out our delicately crafted whiskey.